Celebrity deaths come and go. The news pops up on Twitter and while I may have a few somber thoughts, I'm never really touched. No matter how tragic, I went through the day without any problem. 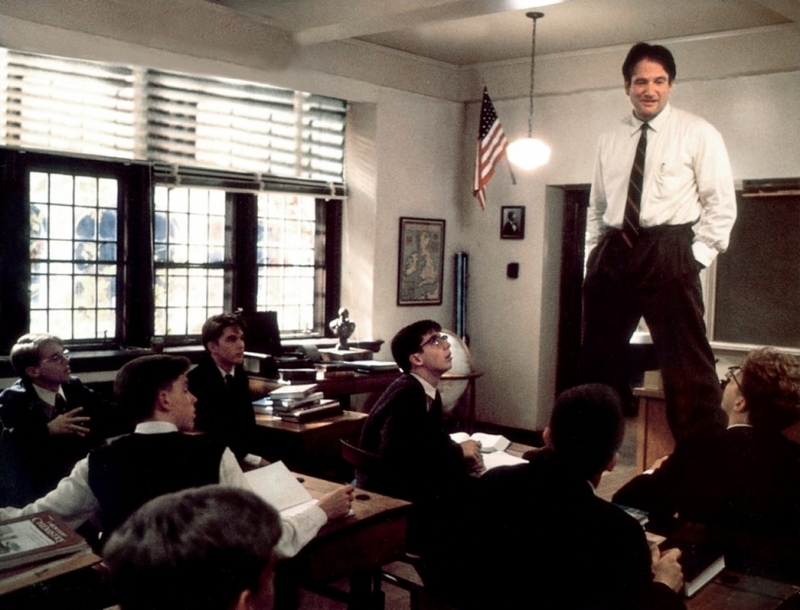 So, why, then, when I heard the news of Robin Williams' passing, did I suddenly feel a lump in my throat? Why did I consider work that night a distraction from my emotions, when Michael Jackson's passing felt more to me like just crossing off a list? Scrolling through social media, I read story after story of Robin being a great man, someone who truly cares about people and who, in his private life, was good natured, kind, and relatively shy. 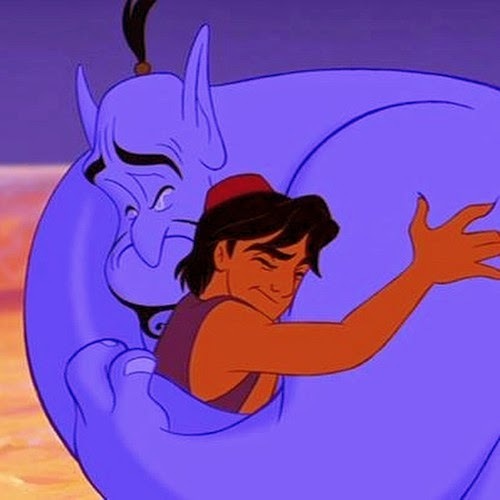 Pictures of his characters through the years brought back fond memories, but it was when I stumbled upon the picture above, a teary-eyed blue Genie hugging the titular character of Disney's Aladdin, that I found the answer to my question. Robin Williams was a huge part of my childhood. It started with Mork and Mindy. Which, I suppose, is when stardom started for him, too. Though it had been off the air for several years before I caught up with it, Nick at Night was good enough to put it in reruns and I enjoyed every minute of it. I wanted to be Mork. 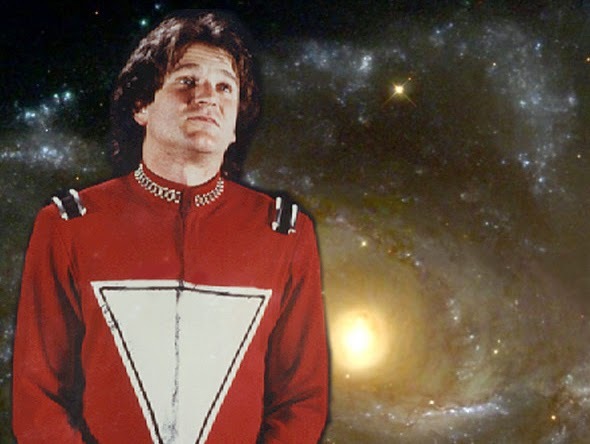 In a lot of ways, I felt like I was Mork: different from the rest of the people on the planet and trying to figure out what living among them meant. As a young nerd, Mork and Mindy captured my attention, my imagination, and my amusement even more than Star Trek did at the time. I was obsessed with the humanoid alien who slept upside down and traveled in an egg. Obsessed as I was with Robin Williams in that role, it wasn't long until I recognized him in other things. Toys, Hook, Jumanji, but most importantly, Aladdin. 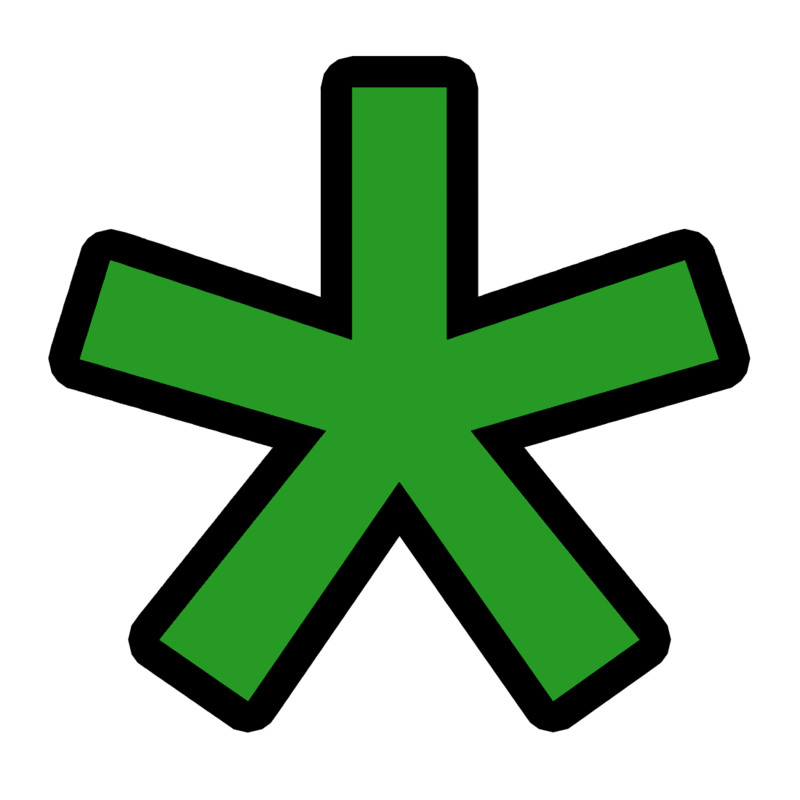 That's where I think most other people have a touchstone with me. Of course, I was extremely excited to learn that not only was the Genie voiced by Robin Williams, but he also looked like Robin Williams! It wasn't until later that I learned that his lines were so heavily improvised that they weren't allowed to submit the script for consideration for the Best Screenplay Oscar. That means a huge chunk of that movie is just pure Robin Williams. And it was a monumental hit. After Aladdin, I learned that he was also in a lot of movies that my parents didn't allow me to see. I still have yet to catch up with all of these movies (the trailers for Death to Smoochy were what captured my attention the most). It was when I finally saw Good Will Hunting that I had a huge epiphany: funny actors can do serious stuff, too! (And this was before The Truman Show came out!) Realizing the genius of this guy made me love him all the more and solidified his place in my young heart. He was a huge part of how I saw modern entertainment in his day. The world has lost a spark of madness, and it has been severely crippled because of it. I hope that he is remembered with fondness, and that anyone who suffers the same condition he had seeks help immediately. No one deserves to die because they think they're not special or that everything is useless. I also hope that the ghost of Robin Williams takes the form of big, blue, smokey, good-natured genie. Nanu-nanu, my friend.